Facebook is extraordinarily successful. It has 1.7 billion members - about a quarter of the entire world. It's the earth's most influential business. Yet there is increasing evidence that Facebook's success has led to "catastrophe unfolding" according to Roger McNamee, a close friend of its founder, Mark Zuckerberg. In a long article in the current TIME magazine, McNamee charges that Facebook created an illusion that "most people the user knows believe the same things. Showing users only posts they agree with was good for Facebook's bottom line." However, "research showed it also increased polarization and...harmed democracy." Before long, "Facebook was spying on everyone, including people who do not use Facebook. In fact, Facebook sometimes traded the data to get better business deals." For example, Facebook created "growth hacking" in which users are a metric, not people. "Every action a user took gave Facebook a better understanding of that user - and of that user's friends...Any advertiser could buy access...The Russians took full advantage." Zuckerberg "seemed to listen to criticism without changing behavior." Success has warped his perception of reality. It would never occur to him to listen to critics...much less reconsider the way they do business. "As a result, when confronted with evidence that disinformation and fake news had spread over Facebook and may have influenced a British referendum or an election in the U.S. - Facebook followed a playbook it had run since its founding - deny, delay, deflect, dissemble," argued McNamee. "Facebook only came clean when forced to, and revealed as little information as possible. Then it went to Plan B: apologize and promise to do better." One would think that "Facebook's users would be outraged by the way the platform has been used to undermine democracy, human rights, privacy, public health and innovation." However. 1.5 billion people use Facebook daily to stay In touch with distant relatives and friends. Few are concerned. "Democracy depends on shared facts and values. It depends on deliberation and the rule of law. It depends on having a free press," McNamee argues. "Facebook (along with Google and Twitter) has undercut the free press from two directions: it has eroded the economics of journalism and then overwhelmed it with disinformation." "Facebook's algorithms promote extreme messages over neutral ones, which can elevate disinformation over information, conspiracy theories over facts." What's alarming is that Facebook's "threat to democracy is real...Only fundamental changes to business models can reduce the risk to democracy." Facebook has brought service to poor people in 60 countries, but at the cost of massive social disruption. "There need to be versions of Facebook New Feed that are free of manipulation. 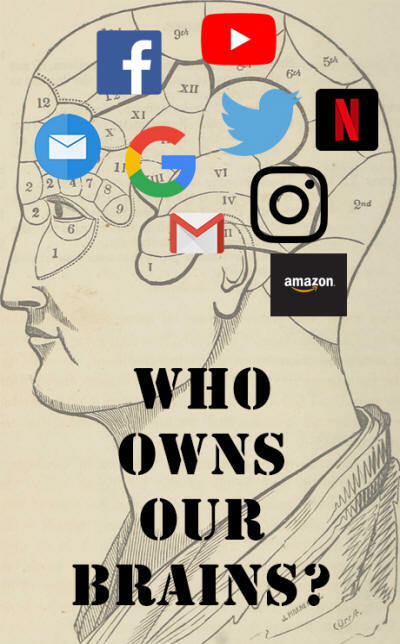 Users need to own their data and have absolute control over how it gets used. Users have a right to know the name of every organization and person who has their data." Facebook, Google and Amazon are extraordinarily successful. "However, they are profitable because they do not pay for the damage they cause." McNamee argues. He believes "The economy would benefit from breaking them up. A first step would be to prevent acquisitions." He also proposes government subsidies such as "research funding, capital for startups, and tax breaks." Finally, McNamee argues that children need protection. "A growing percentage of children prefer the hyper-stimulation of virtual experiences to the real world. Programs like Instagram empowers bullies. Texting has replace conversation for many kids." What can be done? First, there should be "limits on the ages at which children may use screen-like smartphones." Second, phones and computers should be barred from classrooms. Tim Cook, CEO of Apple, argues "It's time for action on privacy. We all deserve control over our digital lives." How can that be achieved? He asks Congress "to pass comprehensive federal privacy legislation - a landmark package of reforms that protect and empower the consumer." He suggests four principles: "First, the right to have personal data minimized. Companies should challenge themselves to strip identifying information from customer data or avoid collecting it in the first place." "Second, the right to knowledge - to know what data is being collected and why. Third, the right to access. (Companies should make it easy for you to access, connect and delete most personal data.) And fourth, the right to data security without which trust is impossible." There are two goals of meaningful comprehensive federal privacy legislation: Consumers should be in control of their data; and law "should shine a light on actors trafficking in our data behind the scenes." Before legislation is passed, the Federal Trade Commission should establish a data-broker clearinghouse requiring all data brokers to register, enabling consumers to delete their data on demand.